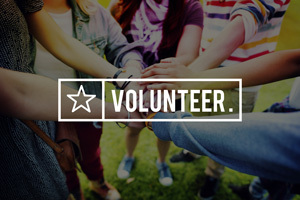 Click below to print and fill out a Volunteer Application and Background Check. Inspired by the vision of Dr. and Mrs. Mayers to create a community hospital, Mayers Intermountain Healthcare Foundation was formed as a way to connect the generosity of others with those in need. Mayers Intermountain Healthcare Foundation promotes health and well-being among the Intermountain communities of Northeastern California. We, at Mayers Intermountain Healthcare Foundation, believe that philanthropy is an incredible way of displaying compassion and we strive to build long term relationships within our community and our hospital. A contribution made to Mayers Intermountain Healthcare Foundation is a contribution made to improve the lives of many within the Intermountain area. Each year, the Foundation provides training and equipment updates to Mayers Memorial Hospital District. Our work includes: providing training and support to the staff members of Mayers Memorial Hospital District; purchasing new equipment to provide for the most up-to-date care; and developing new programs to provide for the prevention and well-being of our residents. We make it our mission to aid our community hospital in providing the best care possible. However, we know it is because of our generous donors and partners that we are able to support our fellow residents and our community owned hospital. 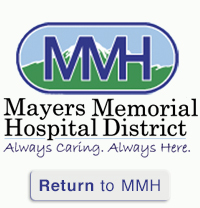 Mayers Intermountain Healthcare Foundation supports the mission of Mayers Memorial Hospital District and is committed to developing and distributing resources to support and enhance the continuation of its services.